Silver Streak® Special is a para-synthetic, heavy-duty, extreme pressure, non-solvent, multi-service lubricant for use in heavily loaded open gears. 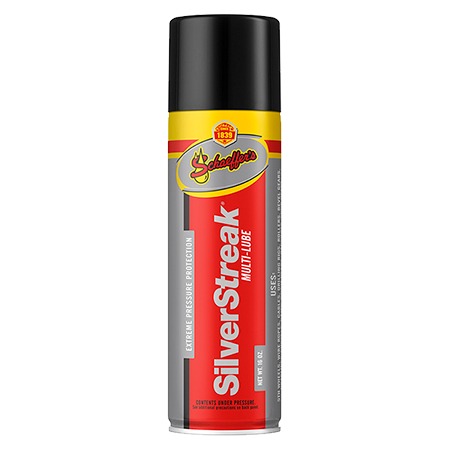 Silver Streak® Special is compounded from a unique blend of select solvent refined, severely hydrofinished, high viscosity index paraffin base oils and polyalphaolefin (PAO) synthetic base oils. Using superior adhesive film-forming characteristics, Silver Streak® Special tenaciously clings to gear teeth and remains soft and pliable over a long period of time. Further blended into Silver Streak® Special is molybdenum disulfide and various solid lubricants, which strengthen Silver Streak® Special’s film strength and load carrying capabilities. Forming an almost indestructible adhesive film, Silver Streak® Special provides a cushioning effect that lasts even under extreme pressure and low speeds. Reduces pitting of the mating surfaces. Resists films destruction by containing oils or greases migrating from nearby mechanisms. Exceptional physical and mechanical stability. Minimizes the vibration of stick slip. Will not harden, chip or flake off or form a hard pack buildup - especially in cold weather. Strong resistance to rain, snow and water washout.